What could be better than a precious vintage camper filled with fabric?! 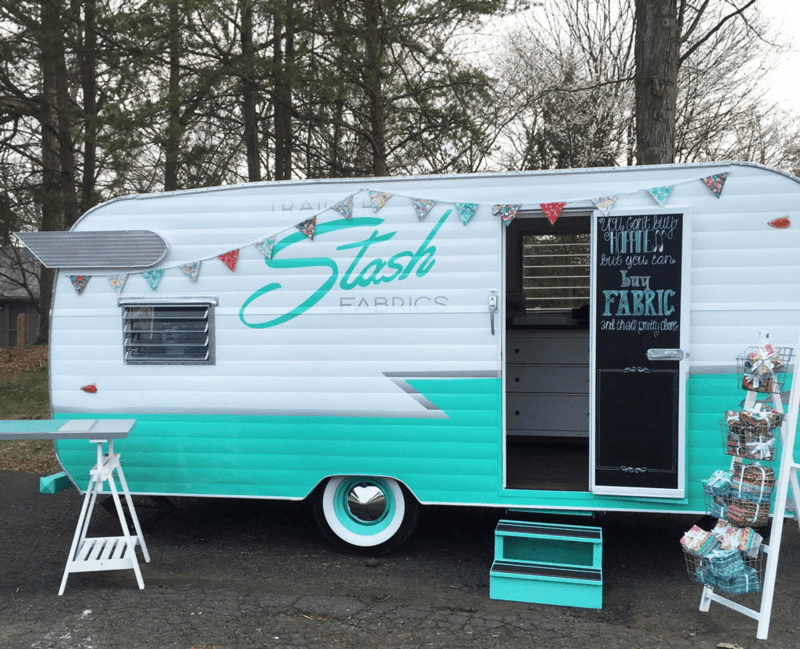 Trailer Stash Fabrics, a locally-based fabric boutique housed in a rebuilt '63 Shasta travel trailer is our new obsession. We are so delighted to host this rolling wagon of goodness here at Spoonflower HQ this Sunday, June 14 from noon to 5pm! Today, Gina Allen, the quilter whose 4-wheeled fabric dreams came true in this amazing venture visits the blog to share how this little trailer of wonders came to be!